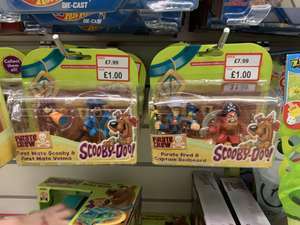 Sets of scooby doo small figures are down from 7.99 to £1 in a1toys store in Glasgow. They are still 7.99 online. Not sure if this is at silverburn only or all stores. Cheers my son is going later might get him to take a look. What is it with the Staff in that place? Dour faced punks!